Both SharePoint Online (including OneDrive for Business) and Exchange Online allow a read only mode to be implemented based on certain user or device or network conditions. For these settings in Exchange Online see my other post at https://c7solutions.com/2018/12/read-only-and-attachment-download-restrictions-in-exchange-online. When this is enabled documents can be viewed in the browser only and not downloaded. d) Under Session, and this is the important one, select “Use app enforced restrictions”. SharePoint Online will then implement read only viewing for all users that fall into this policy you have just created. 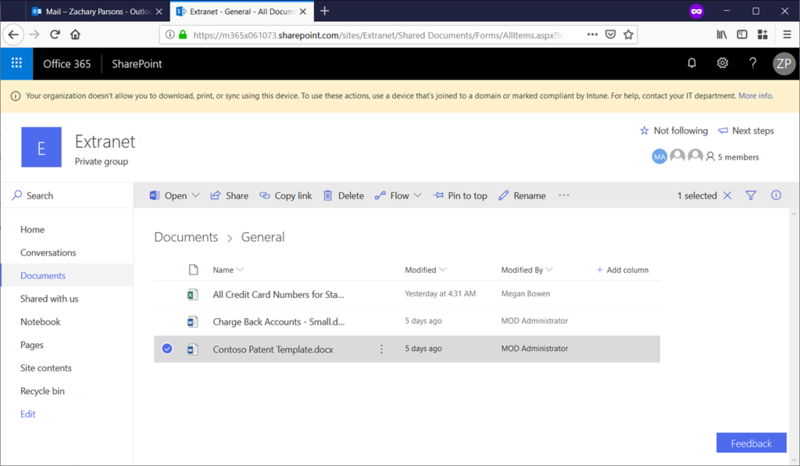 Ensure the user is licensed for SharePoint Online (and a mailbox if you are testing Exchange Online) and an Azure AD Premium P1 licence and ensure there is a document library with documents in it for testing! Login as the user under the conditions you have set in the policy (in my example, the conditions where for the specific user only, but you could do network or device conditions as well. 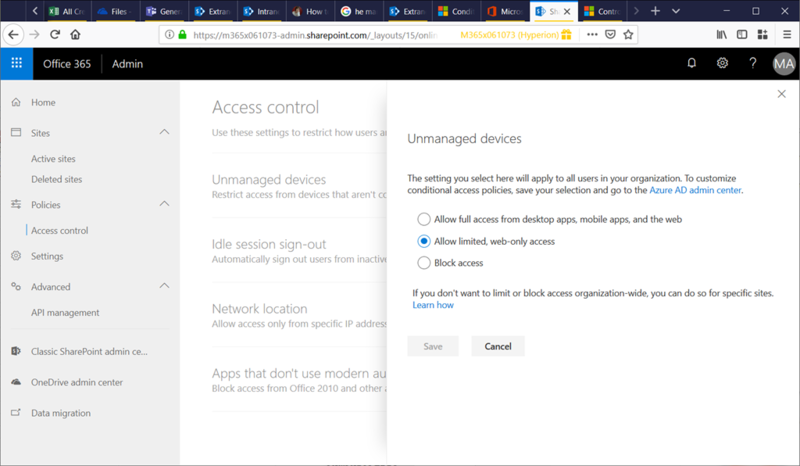 Turning the settings on in SharePoint creates the Conditional Access policies for you, so for my demo I disabled those as the one I made for had different conditions and included SharePoint as well as a service.